The find in Novosibirsk region has left archeologists with many questions, since some animals kept alive in two metre-deep pits at the smokehouse were not at the time native to this area. Excavations in the summer found the ancient smokehouse, along with bone and stone tools. Fish was processed by putting it in pits in the red-coloured ground to give it a 'special smell'. The smokehouse was uncovered at Tartas-1 site in Vengerovo district where experts have been studying burials and other ritual facilities for over 10 years. 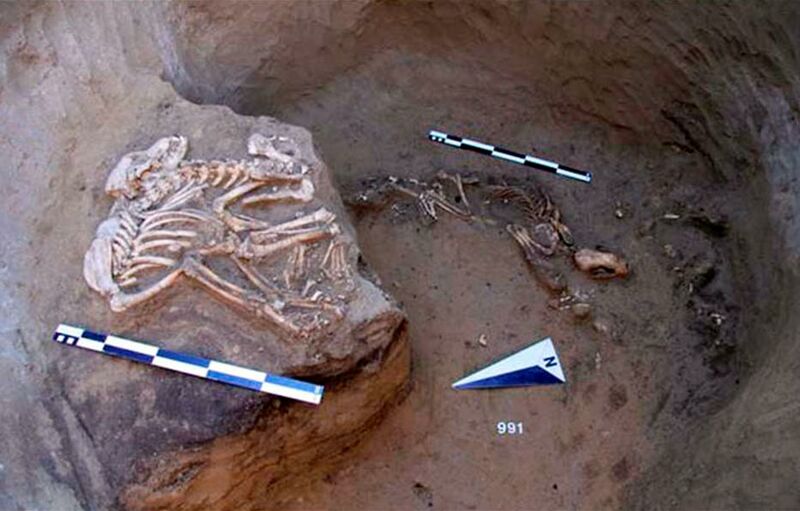 Harder to explain for the archeologists were the remains of animals in the pits. A skeleton of a wolverine - a mammal that resembles a small bear - was found here. Yet the wolverine is not typical here. It is a native of the taiga and is not typical in the steppe where Tartas-1 is located. Ermine remains were found here too, as were bones of domesticated animals and coprolites (fossilised dung). Remains of a dog and a fox were located in other storage areas. Dr Molodin alleged that the animals could have been kept there for ritual purposes. 'For some time the pits were used for ritual purposes but it's a huge mystery which we have yet to understand,' he said. This article, originally titled ‘ Fancy Some Neolithic Smoked Fish? ’ was originally published on The Siberian Times and has been republished with permission.